With Currency Controller any default or custom module can be configured to have a link to show current and historical conversions for all currency values on the record. 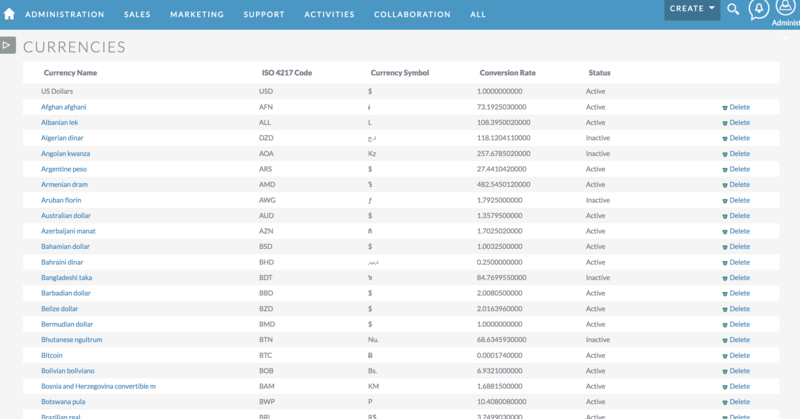 Enabled modules will have a link next to the name field of the record which will bring up a custom view that shows the current conversions to any active currency in your system. Additionally your can select up to 12 historical dates to view at the same time going back to the year 2000 for most currencies. We even provide some helpful shortcut selections to allow users to quickly view changes over the last 12 months, 8 quarters, or last 5 years. 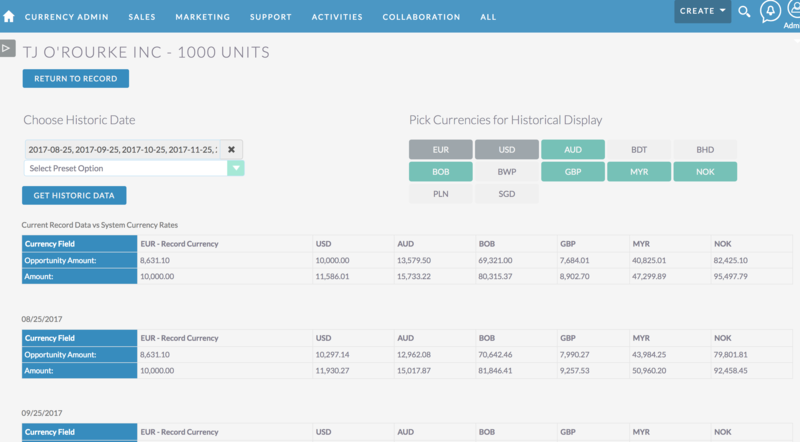 This functionality updates the currency conversion rates in the Currencies module of SuiteCRM. Some default SuiteCRM modules also have a default in field that is stores the system default currency conversion right on the record.